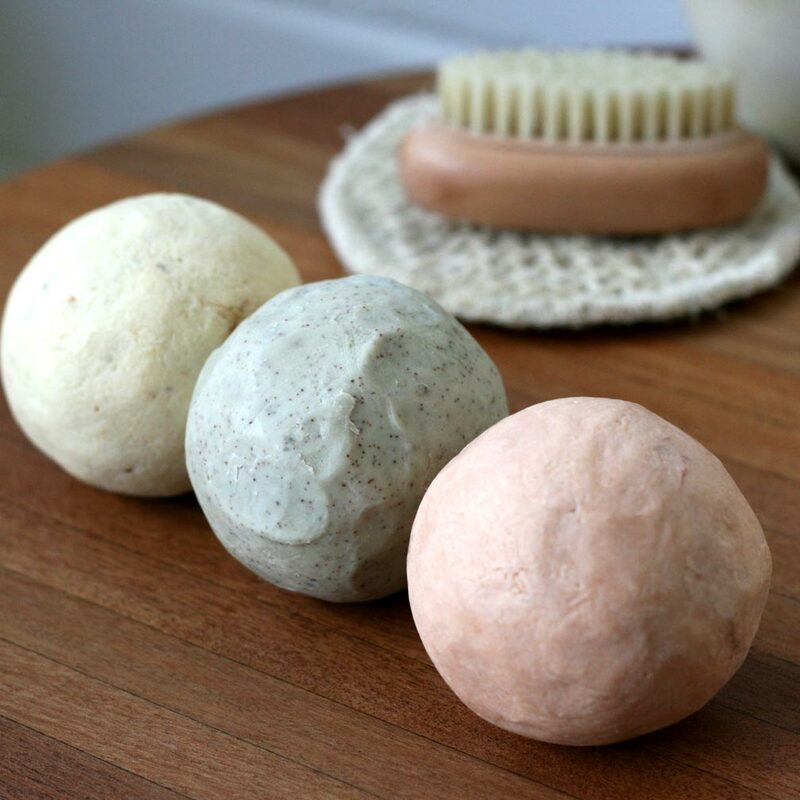 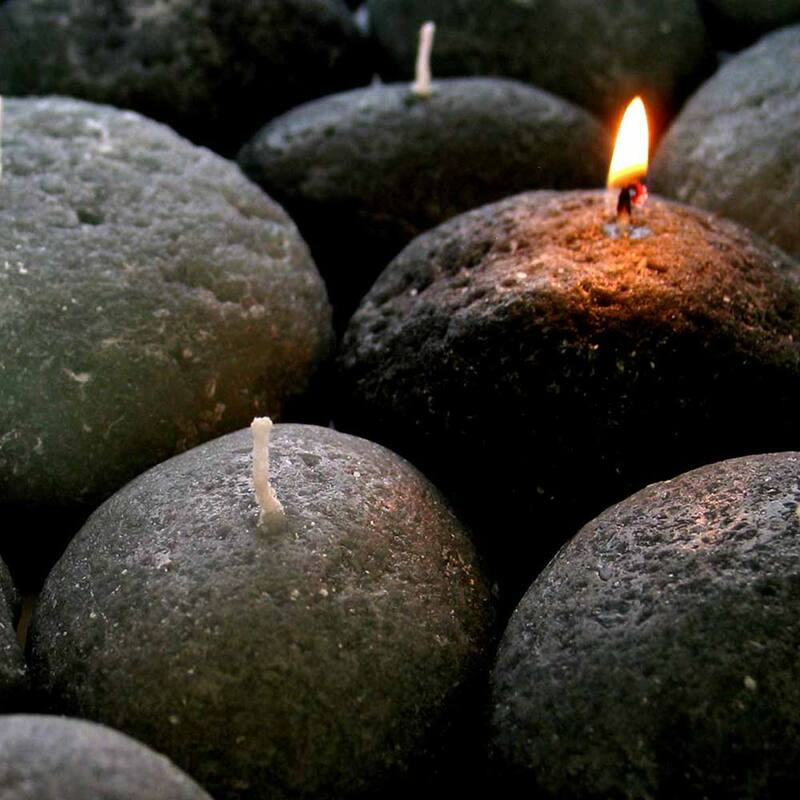 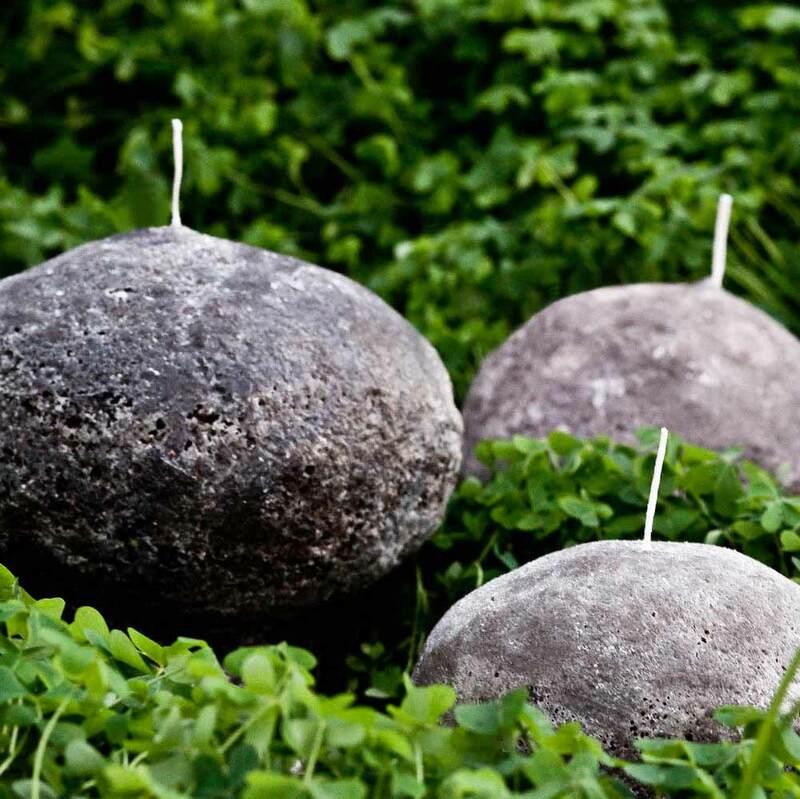 These highly realistic Floating Pebble Candles come as a set of 3 sizes. 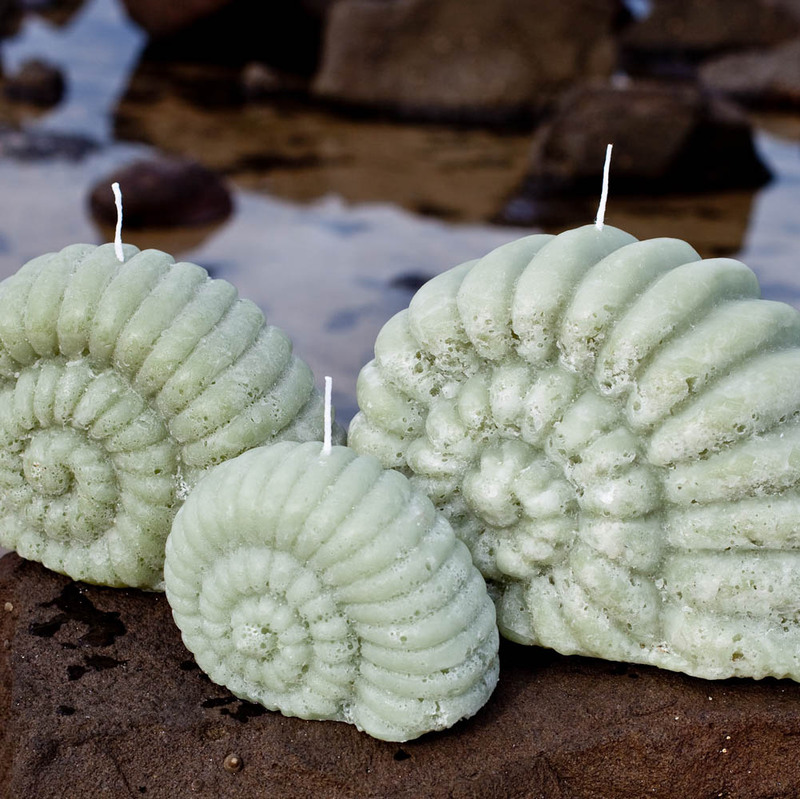 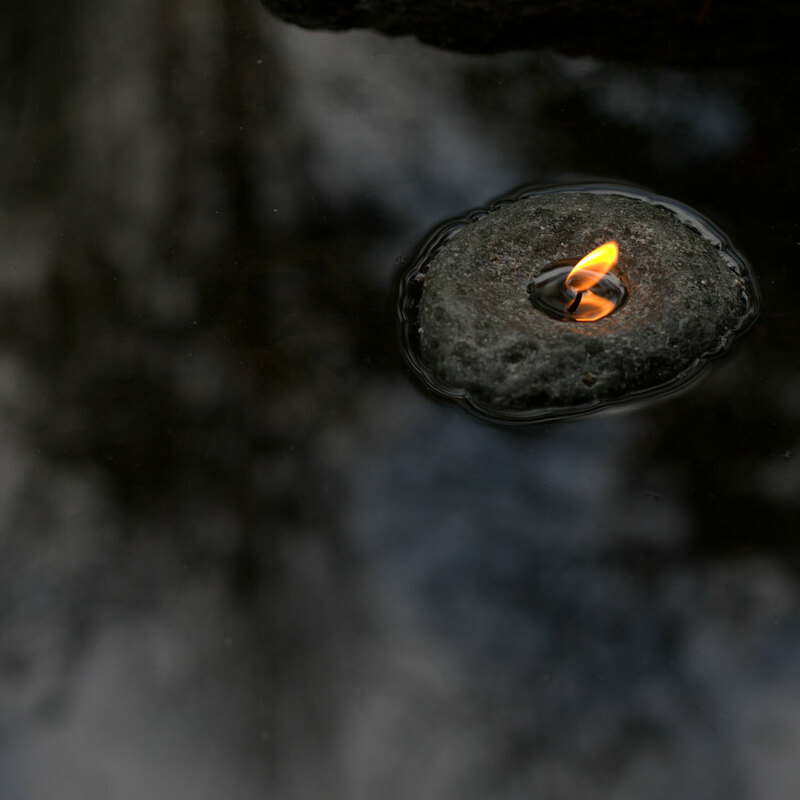 Embracing the elements of stone, water and fire, these highly realistic Pebble Candles are moulded from river rocks gathered near Healesville in the picturesque Yarra Valley. 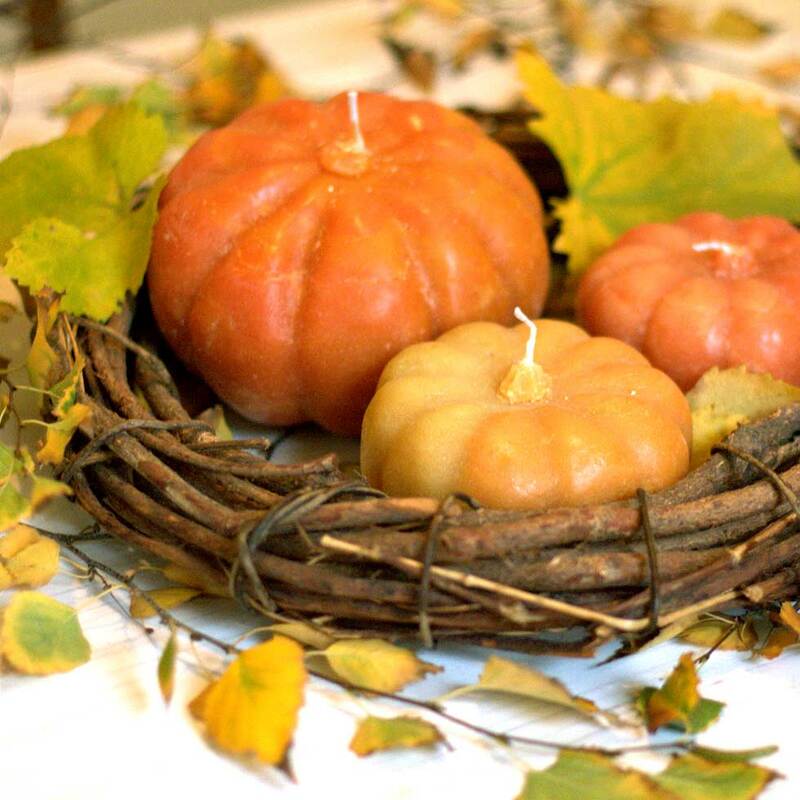 There is a stillness and tranquillity in these candles, and just a few simple elements can create a centerpiece of striking elegance – a bowl of water, a handful of flower petals or autumn leaves, and the Floating Pebble candles gently floating around. 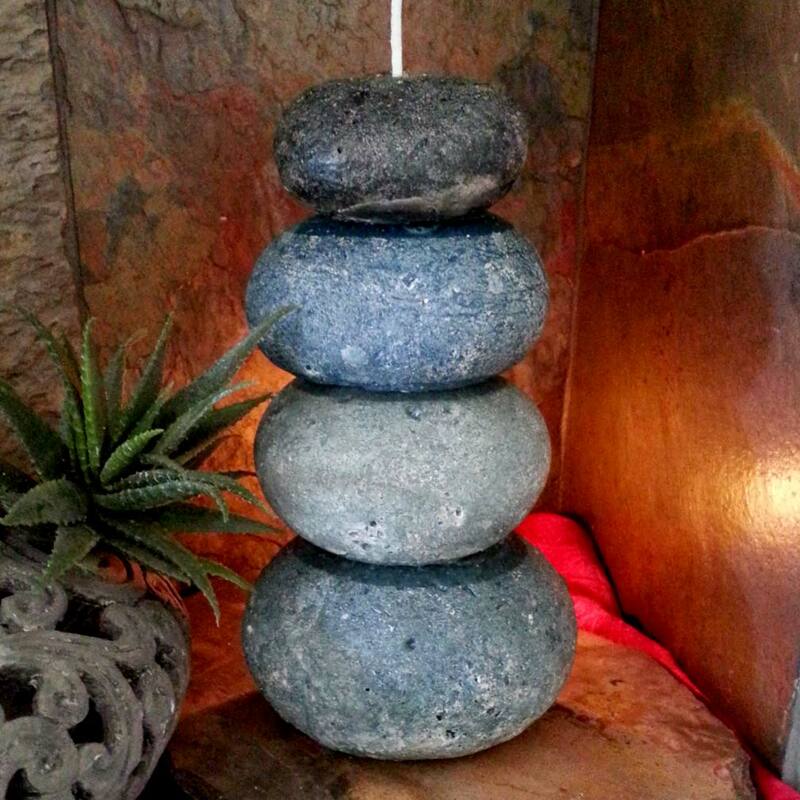 Perfect for wedding table ideas and romantic dinners. 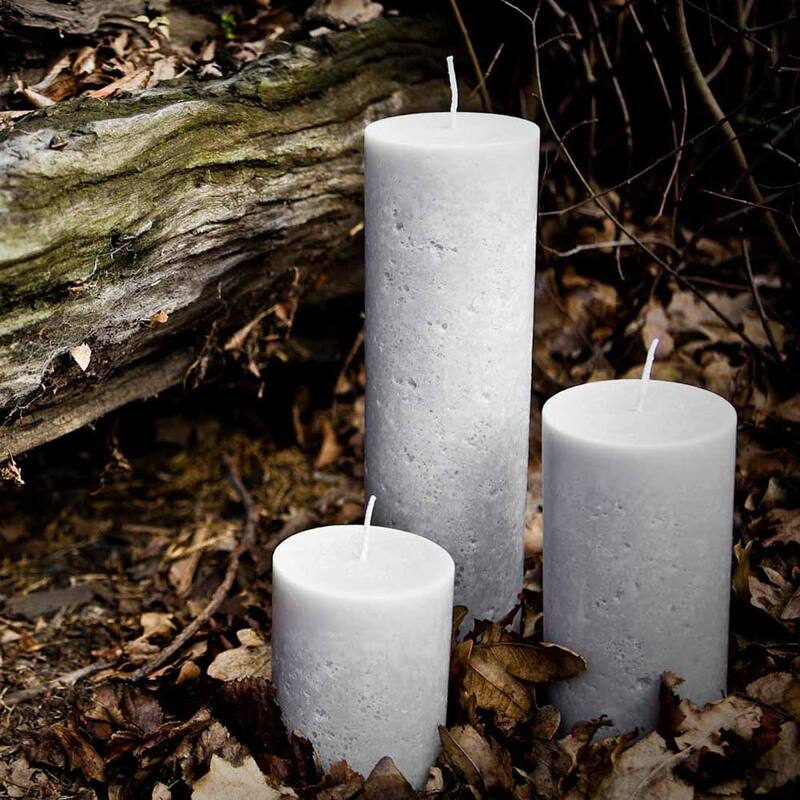 Individually hand-poured in many shades of grey, they are selected for their natural variation to create mixed sets of three candles in large, medium and small. 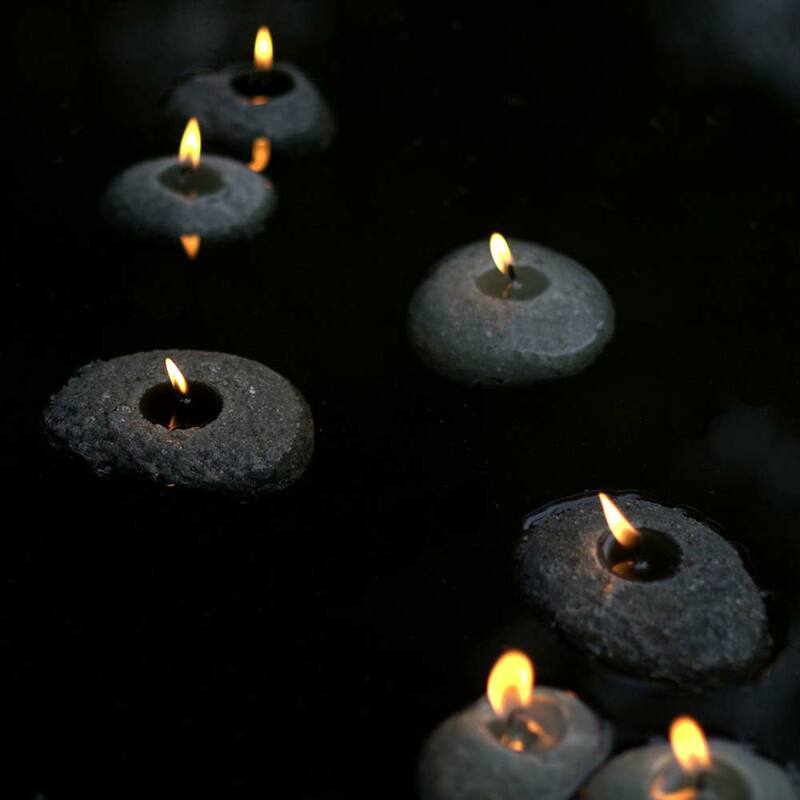 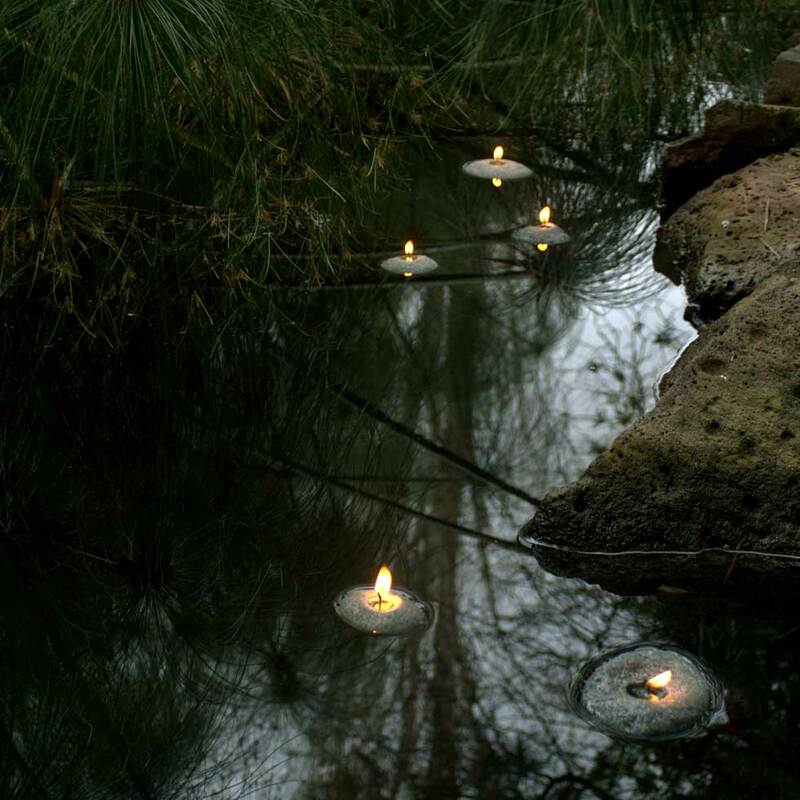 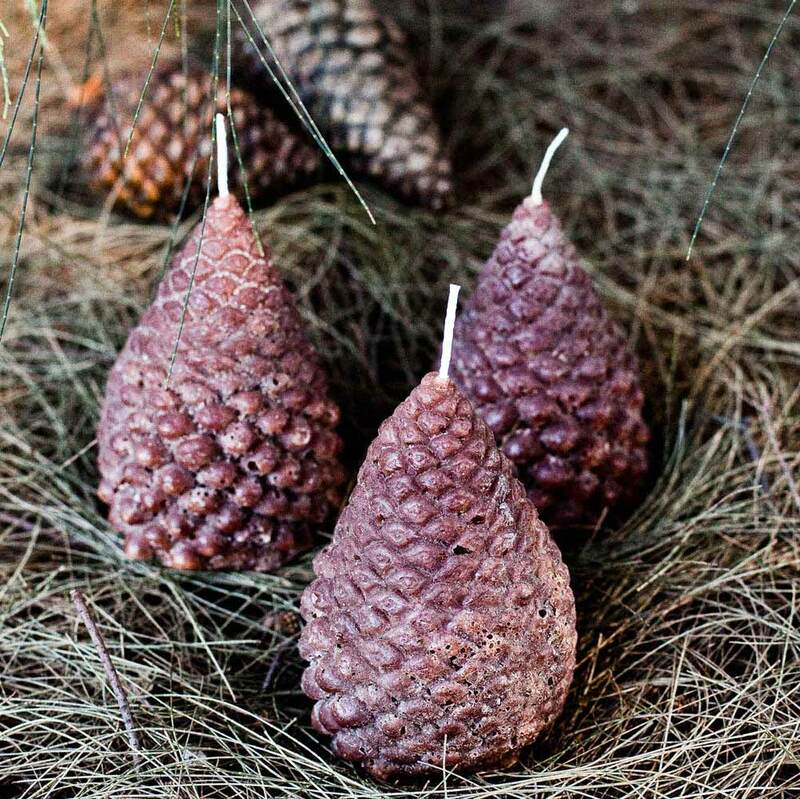 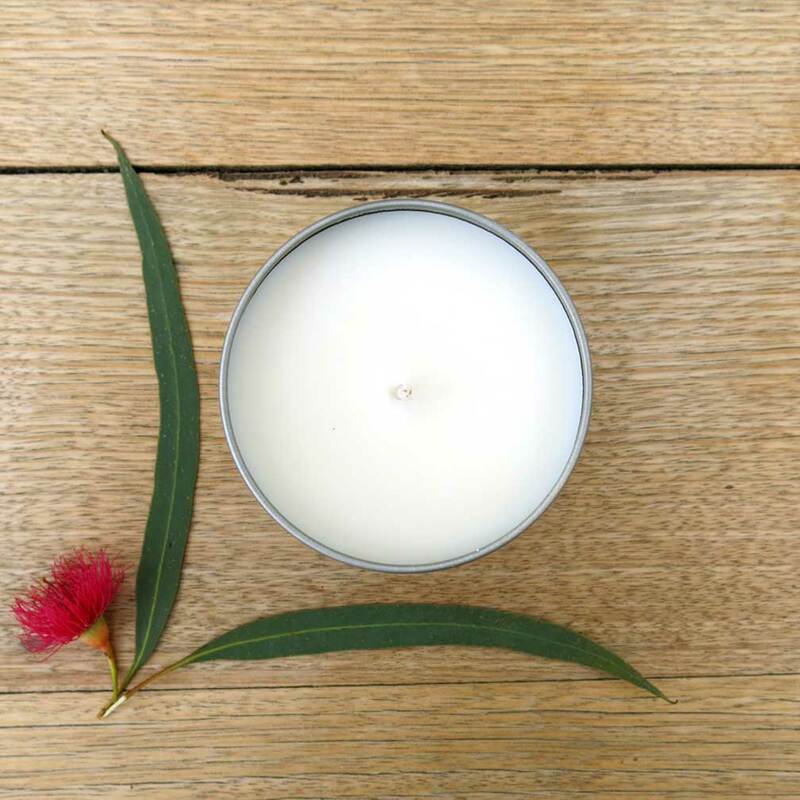 Our unique floating candles have been featured in House & Garden and Home Beautiful magazines.